Lava lamps have been very popular for many years thanks to their ever-changing appearance. 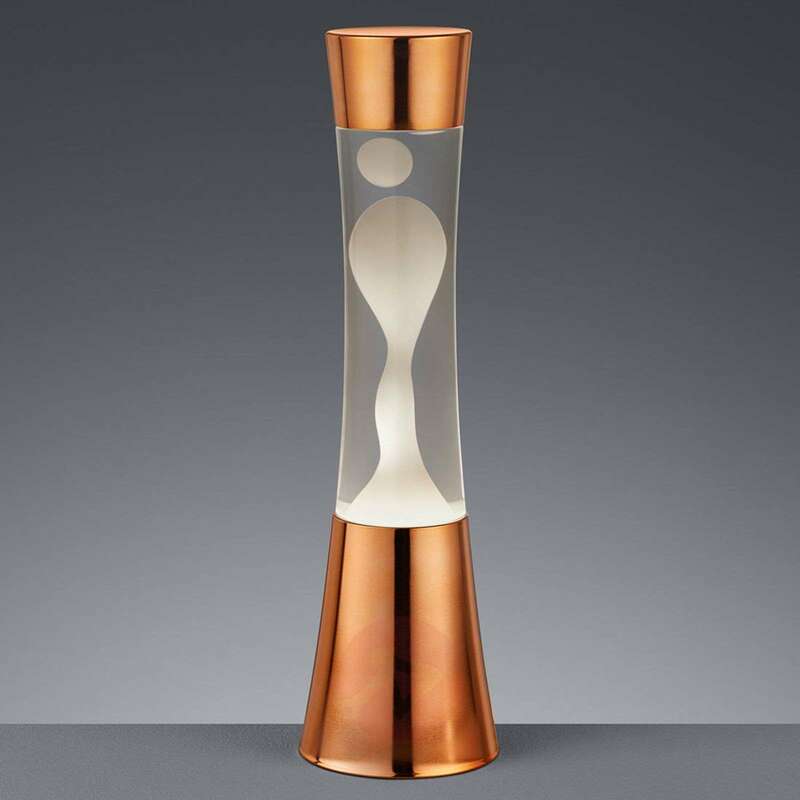 The look of this lava lamp has, however, been adapted to suit modern times. The result is a great accessory for the home that encapsulates the charm of bygone eras. As soon as the wax has heated up, it begins to move up and down through the clear liquid to create a super cosy atmosphere. The fact that the light has been certified in line with the child light ordinance DIN EN 60598-2-10 means that it can be safely placed in a child's bedroom, as well as on a dresser in the hallway or a side table in the living room. What is the diameter of this lava lamp please? thank you for your question. The diameter is 11 cm. I didn't think it was possible to make a classy and elegant looking lava lamp...but this is totally it! 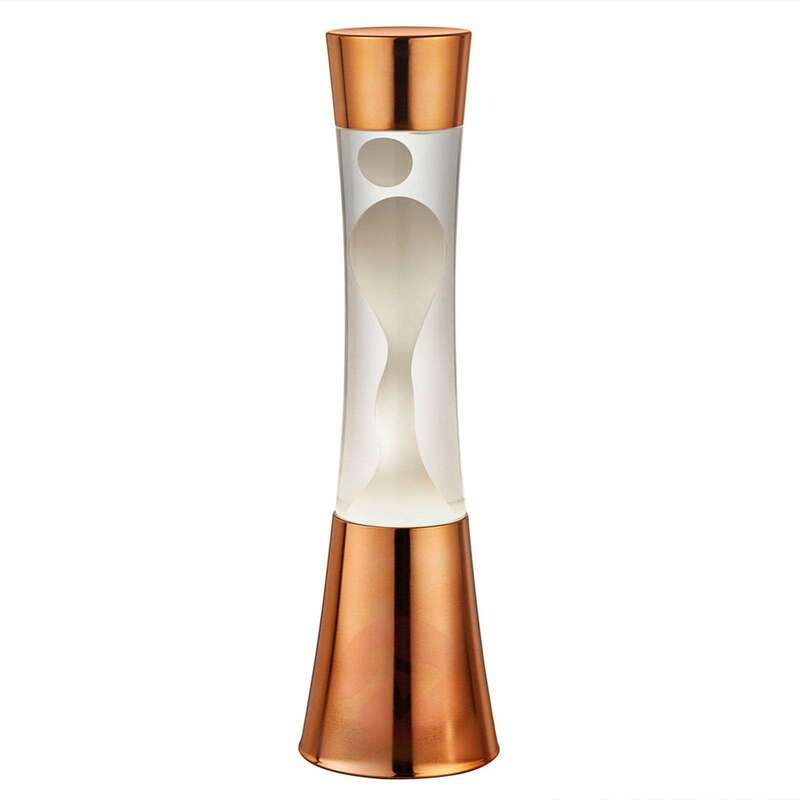 The clean lines and the copper finish are very nice. It has a warm glow that is nice for a cozy bedroom. I got this as a birthday present for my husband and he absolutely loves it. Cannot recommend it highly enough. It arrived super fast as well, considering it was coming to the UK from Germany!